For assistance in preparing for your post high school endeavors feel free to call or email us! Office Hours: Thursdays 3-3:45 p.m. 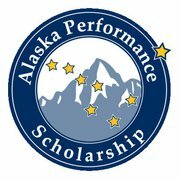 Check out the CCSD Continuing Education Scholarship which all PACE Seniors are elligible to apply for! Unsure which direction to take towards your future? Check out this interest/career survey to help get you started. Every institution has it's own set of requirements and deadlines, be sure to check with your places of interest to obtain that information.